Sometime during the late ’00s, hydration became, well, cool. Suddenly, everyone started carrying a bottle around with them everywhere and celebrities clambered over water endorsements the way they once would have for Pepsi or Coca-Cola. (Jennifer Aniston is actually still repping Smartwater.) Recently, the trend has resurged; and this time, it’s effervescent. Sparkling water is definitely having a moment. The bubbly water has become so trendy that the market has become super crowded: There are a lot of brands to choose from. And picking one that will satisfy your taste buds and your health requirements is far from straightforward. While some labels are short and clean, others are long and full of chemicals. Some have no sugar, some have as much as a soda. To find out which waters ranked high in both taste and nutrition, I set up a blind taste-test at Well+Good HQ and interviewed triple-board-certified nutritionist, FoodCoach founder, and author of The Archetype Diet, Dana James about the ingredients and labels. Here’s how the experiment worked: I got my hands on as many sparkling water brands as I could (nine in total) and had the Well+Good staff try three flavors of each brand (without knowing which brands they were trying). I did my best to pick similar flavors for each brand as to not have a bias toward just liking one specific flavor more. After the whole experiment was over, I called up James to go over the nutritional info for each. Wonder which came out on top? 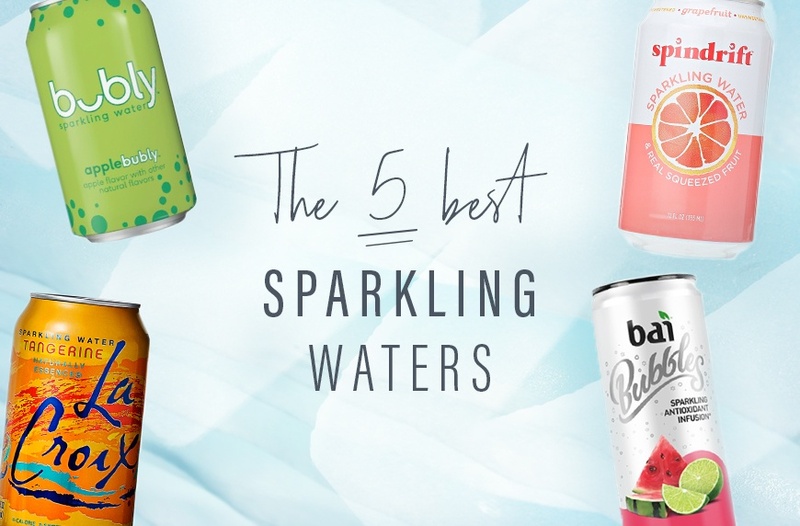 Keep reading to see the best and healthiest sparkling waters. Even though almost no one could name this sparkling water just by taste—and the ubiquitous cans were hidden away—LaCroix won the taste test by a few votes. (Seriously, it was very, very close.) “It has a more subtle taste than some of the others—not too overpowering,” a member of our sales team remarked. “Yeah, it’s really refreshing,” an editor said. Still, not everyone was a fan. “I don’t know about this one. It tastes boring,” another member of the sales team said after a few sips. LaCroix wasn’t James’s favorite, nutritionally speaking (that would be number two on the list, revealed below), but she didn’t have many gripes with it. 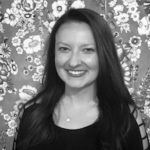 “The only ingredients in LaCroix are carbonated water and natural flavors and their site says they are sourcing those natural flavors from essential oils, which to me is equally as valid as using a fruit,” she says. There’s also no sugar, which is a huge win. Now you can carry on with your obsession without worrying about how it’s affecting your body. “I don’t know if it is, but this one definitely tastes the healthiest and least artificial,” one editor said after sipping an unmarked sample of Spindrift. It turns out, she was right. “What I like about this one is that it’s not too sweet and doesn’t have a weird aftertaste,” a member of our marketing team remarked after trying it. “It tastes like spa water,” said another. PepsiCo launched Bubly just last month, and the bulk of the Well+Good staff was into it. Like LaCroix and Spindrift, most people liked that the taste was subtle and not overly sweet. “It’s very mild—really just a hint of a fruity flavor,” a member of our sales team said. “It definitely smells fruitier than it actually tastes,” said another. On the other hand, some wished it had more flavor. “I don’t taste any flavor at all,” said one. Someone else said that it tasted too bitter. Reading over the label, James gave this one a thumbs up. “Like LaCroix, the only ingredients are carbonated water and natural flavors,” she says, adding that Bubly also has zero grams of sugar. When I pointed out the 10 milligrams of sodium on the nutritional panel, she wasn’t fazed. “That’s hardly anything. One teaspoon of salt has more than 2,000 milligrams of sodium. So it’s nothing to be concerned about.” In that case, have a few! Perrier didn’t give James much label reading to do either—which, in this case, is a good thing. (Unless you were hoping your sparkling water choice was going to be a powerhouse of nutrients, which, sorry to disappoint, but it’s not.) Inside this one: natural spring water, carbon dioxide, and natural flavors. Taste-wise, while most people did like it—it still made the top five—for most, it wasn’t their all-time favorite. “I like this one because it tastes ‘clean,’ like there’s not anything weird in it or anything, but I still like the taste of some of the others more,” one editor said. Bai Bubbles was definitely the most flavorful of the ones that ended up making the cut—which led to some division. Some people thought it was too sweet or had a lingering aftertaste. “It tastes like stevia,” one sales member said. But the Well+Good staffers who happened to have a sweet tooth were on board. “This is kind of like a fake cocktail. Actually, it would be good in a cocktail,” one person said. “It tastes like Jell-O, but water—and I mean that in a good way,” another person said. Unlike the others on the list so far, Bai Bubbles has a pretty lengthy ingredients list, including, well, stevia. Also inside: juice concentrate (the fruit varied depending on the flavor), malic acid, citric acid, fruit and vegetable juice (for color), coffeefruit extract, white tea extract, ascorbic acid, sodium citrate, and natural flavors. As far as stevia goes, James says it’s a fine sugar substitute—unless you have any gut problems, in which case you’re better off avoiding it because it can cause insulin resistance. And while the juice concentrates actually add a bit of vitamin C, James says it’s not enough to really count as much of a benefit. “You’re getting about an eighth of an orange’s worth,” she says. So even though the ingredients list was lengthy, she still found it okay overall. Of course there were many sparkling waters that were sampled that didn’t make James’s cut, nutritionally. One had 34 grams of sugar per can—a clear no. Another had sucralose (AKA Splenda), which James says is a major negative because it can increase appetite. The bottom line: Even with bubbly water, you still have to give the label a read. Or, stick with the five on this list and you’ll be good to go. If you want to get experimental with your bubbly, try this adaptogenic lavender one, or even cannabis-infused sparkling water.